Thirsty? 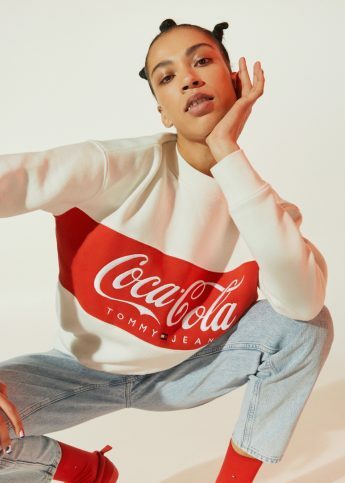 Tommy Hilfiger are rebooting their 80s Coca-Cola capsule collection. Meet Smoooth Dogg! The iconic rapper has been reborn with a new name as he partners with Swedish payment giant Klarna. The Scandi-style collab here to save your cold weather wardrobe. Incoming: sustainable watches made out of upcycled skateboard decks. Introducing the dream collaboration for all 90s streetwear fans. Hood By Air’s provocateur brings his radical vision to the Italian outdoor brand. Rankin and Bombay Sapphire have collaborated on a unique series of portraits. The artistic director of Louis Vuitton has teamed up with Boys Noize. Riccardo Tisci’s first Burberry collaboration will be with the design icon. The cult artist takes over the East London HQ. Iconic Russian jewellers Fabergé team up with Harrods to celebrate Easter. The young menswear designer’s capsule for River Island gives camo a pastel twist. Topshop announce collaboration with Adidas Originals for Spring/Summer 2014. Adidas Originals reveal an exclusive collaboration with Brazil’s The Farm Company for Spring/Summer 2014. With New York Fashion Week approaching, we give you a strange, anime-meets-real life fetishistic fashion collaboration and exclusive video by Nicola Formichetti, Miles Aldridge and Kaimin. This week, Brand Buzz looks exclusively at Revlon’s new Colorstay Ultimate Suede lipstick collaboration with shoe designer Sophia Webster. Welcome to Hit List, a weekly roundup of all things best and present in the world of beauty and fashion. This week, we kick about the best trainers for spring and summer. So take a look, grab a bag, and if the shoe fits, get it. Carri Munden, the one-woman wonder behind Cassette Playa, lets us in on an exclusive preview of her new collection with JuJu shoes.